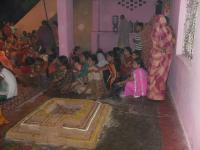 Chhath Puja is an Indian thanksgiving festival dedicated to the Sun God. During the celebrations of Chhath Puja, people gather on the banks of the River Ganges to bathe in its sacred water, pray and make ritual offerings to the Sun God. Chhath Puja is a highly elaborate festival noted for Cartier Hypnose Replica its impressive display of colorful costumes, music, singing and extravagant rituals. 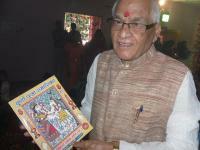 When Is the Festival of Chhath Puja? Chhath Puja takes place, sometime during the months of October and November, immediately following the six-day festival of lights known as Diwali. 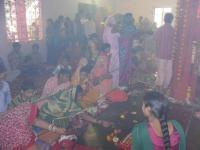 Chhath Puja lasts for almost 3 days. 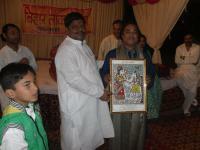 There is also a "Chaiti Chhath" celebrated just after Holi. 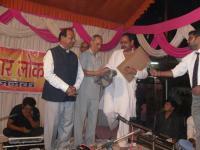 Where Is Chhath Puja Celebrated? Chhath Puja is celebrated mainly in Bihar, Utter Pradesh, Utteranchal and Jharkhand, now a days, you can see a celebration almost everwhere in India. The festival takes place, on the banks of the River Ganges, in people's homes and at the Sun Temple of Baragaon, two kilometers outside Nalanda, in Bihar. How Is Chath Puja Celebrated? On the day before the festival of Chhath Puja, it is customary for participants to gather on the riverbanks and cleanse themselves, briefly, in the water of the River Ganges. After cleansing, a token amount of sacred water is retained for use as offerings during the festival of Chhath Puja. 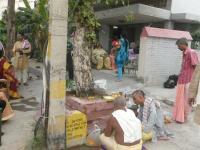 Before Chhath Puja, people fast throughout the day and into the early evening. The fast is followed by worship in the home. Festive fare consisting of freshly harvested rice, puris (a local bread type delicacy), and fruit such as bananas, coconuts and grapefruit are then served to the family. On the second day of Chhath Puja a strict 24-hour fast is observed; not even water is consumed. Cooking utensils are purified by the senior women of the household, as part of the ritual preparation of offerings for the main part of the celebration of Chhath Puja. At sunset, worshippers proceed to the riverbank bearing their offerings in baskets held high to avoid the impure touch of human hands. The participants then pay homage to the Sun God, at the precise moment of the setting sun. Further celebrations take place at nightfall under temporary canopies made from sugar cane stalks where offerings are laid out as a tribute to the god of fire. Well before sunrise, when the sky is pitch black, worshippers return to the riverbank to pray to the rising sun; this ritual is considered the focal point of the ceremony of Chhath Puja. Following prayers and the purifying bathing ritual, the fast is ended with the offering, or prasad, to the Sun God. Offerings are then shared with families, friends and fellow worshippers, accompanied by the chanting of the Rig Veda Gayatri Mantra to the Sun God. Surya: The sun (the Sun God is worshipped during the festival of Chhath Puja). Puja: Various interpretations exist of the word "puja," including worship with offerings, especially of flowers, and ritual anointment with sandalwood paste. 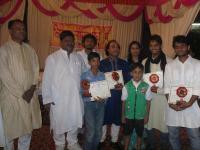 Puja is the combination of the Sanskrit words for sin and birth. Prasad: Ritual offerings Breguet Replica Watches. Puris: This deep-fried bread, made from wheat flour, is traditionally offered at the festival of Chhath Puja. Thekuwa: This is a wheat-based cake served during the festival of Chhath Puja.